Falls are a major health issue in the community with about 30 per cent of adults aged over 65 falling at least once a year. Having a fall has many detrimental effects. Acccording to the Australia and New Zealand Falls Prevention Society, falls account for 40 per cent of injury-related deaths and one per cent of total deaths in this age group. But the effects are not just physical. Falls can result in restriction of activity, reduced quality of life, disability, and decreased mobility which often results in increased dependency on others. But there is help for people who want to improve their balance, confidence and mobility, and decrease their risk of falls. Jubilee runs regular Stay Standing falls prevention programs, helping you maintain your independence. Stay Standing is the only accredited falls prevention program in Australia and includes a home program of exercises. 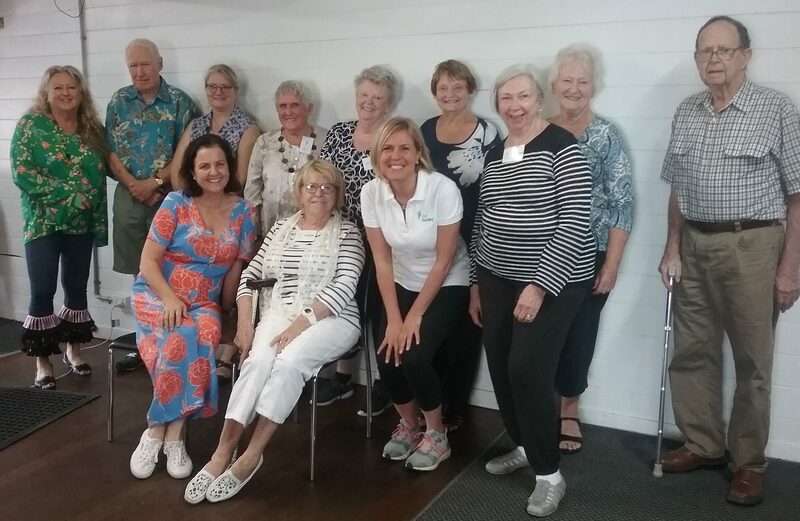 Sessions are held on Fridays for eight weeks and each one includes exercises, presentations from Brisbane allied health specialists and morning tea. »» Assessment with physiotherapists Monique or Tim and home program of exercises to prevent falls in week one. »» Falls contingency planning, SMART goals and managing chronic pain. »» Managing continence with a nurse and Healthy Bones with a dietician. »» Safety at home with an occupational therapist, Vision with an optometrist and Hearing with a audiologist. »» Footwear to stay safe and comfortable on your feet with a podiatrist and Safety away from home with the Queensland Police Service. »» Managing medication and sleep with a pharmacist. »» First Aid with the Queensland Ambulance Service including recognising common senior emergencies. »» Exercise review and outcomes and a celebration in the final week. The next Stay Standing course will begin at the Bellbowrie Tavern, Bellbowrie, on May 3. Another course will be held at Indooroopilly, starting July 19. To find out more phone Jubilee Community Care on 3871 3220.